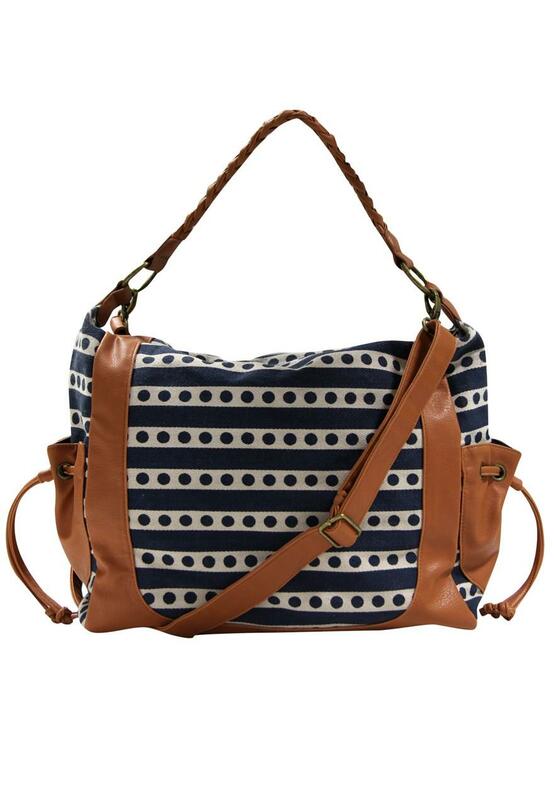 A really funky and on trend polka dot and stripe patterned canvas style bag. Perfect for the summer months and will compliment lots of outfits. 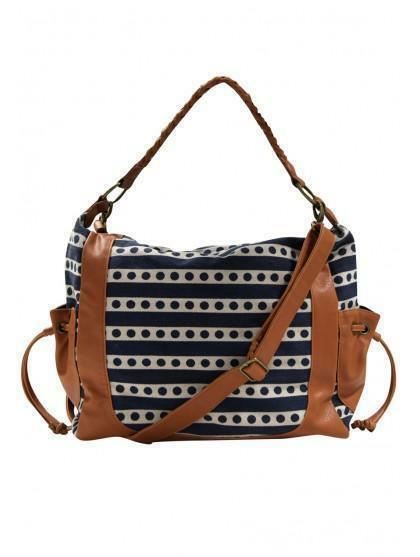 With tan leather-look straps, pockets and panel detailing. A season must have!